The street is a place of transition. It is a way to go from one area to another experimenting situations and encounters. The continuous movement of people’s ideas, expressions and change of attitudes often happens on the streets. People transit from one story to the other. However, there are moments in which the main characters of these stories find themselves stopped IN TRANSITION; caught in movements between houses, between jobs, between lives, between dreams. 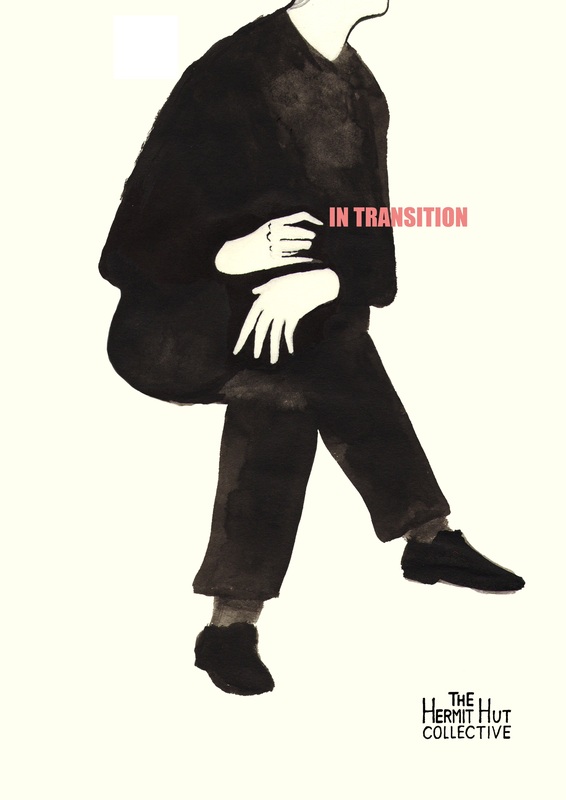 IN TRANSITION is about the non-told stories of the “rejected and invisible” people who we find on the streets and in our daily lives. Through corporeal languages and live music, two actresses (in constant transition between characters) and a musician, tell stories inspired on these people; their dreams, their realities, their wishes, even their relationship with their imaginary friends. The body and the music are the main instrument to tell these stories while making use of corporeal mime techniques, dance, objects and text. IN TRANSITION is an original physical and movement theatre show created by The Hermit Hut Collective in collaboration with violinist and musician Joan Gerard Torredeflot Ramos. The show can be performed in English or Spanish. IN TRANSITION es el nuevo espectáculo de creación propia de teatro físico y movimiento de la compañía The Hermit Hut Collective en colaboración con el músico y violinista Joan Gerard Torredeflot Ramos. Utilizando lenguajes corporales y música en vivo, dos actrices (en transición constante entre personajes) y un músico, cuentan historias inspiradas en personas de la calle; sus sueños, sus realidades, sus deseos y hasta la relación con sus amigos imaginarios. Este espectáculo puede ser presentado en castellano o en inglés. Tells the story of an artist who lives in a constant struggle between a world full of unpredictable dreams (necessary for creation) and a safe, repetitive and controlled reality. The fear of failure and more importantly, the fear of being forgotten, makes the artist want to escape her dreams while trying to avoid the monotony of her reality. She imagines to create and creates to live knowing that her creations will disappear like sand between her fingers. 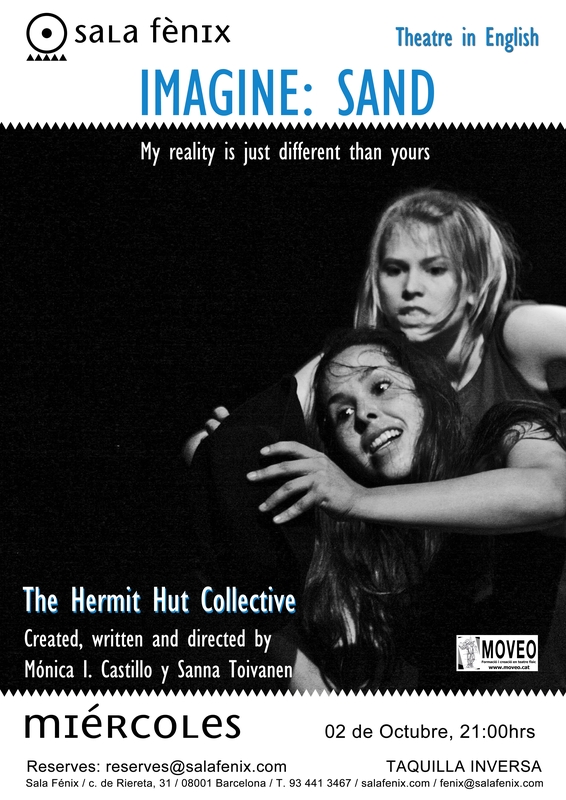 Work created, written and directed by Monica I. Castillo y Sanna Toivanen. Trabajo creado, escrito y dirigido por Mónica I. Castillo y Sanna Toivanen que cuenta la historia de una artista que vive en una constante lucha entre un mundo de sueños impredecible pero necesario para crear y una realidad segura, repetitiva y controlada. El miedo al fracaso y al olvido de su arte la hace querer escapar sus sueños y a la vez, evitar caer en la monotonía de su realidad. Imagina para crear. Crea para vivir sabiendo que sus creaciones desaparecen como arena entre los dedos. IN TRANSITION in Barcelona in October – also a new teaser out for the show!